Can Diabetes Cause Tinnitus?- How to Avoid Tinnitus For Good! Can diabetes cause tinnitus? This symptom of buzzing, ringing, and whistling in your ears most certainly can be caused by diabetes because conditions that have these symptoms are linked to impeding of the actions of insulin and insulin resistance and therefore can cause tinnitus. Diabetes does not show favoritism. It can attack and cause anything anywhere in the body if you don’t control it. Tinnitus is one of the most uncomfortable and annoying symptoms you can experience. I’ve had it and let me tell you I will never forget it. I know how important it is for me to control diabetes now and tinnitus is just another unforgiving thorn in the side, to put it bluntly. You may not have tinnitus right now, but if you did you would be reading every word here carefully because that’s how bad tinnitus can be. It gets to you. Trust me. I’ve had it and when you are going through it, you just want it gone and right now! With diabetes, you want to make sure you control your blood sugar numbers because that just puts you at a higher risk of getting tinnitus. Let me just say that there was research performed and published in the International Tinnitus Journal. It showed that between 80%- almost 95% of the people observed with tinnitus were insulin resistant! These patients then followed a strict diet for a period of two years. While their insulin levels were brought back to the normal range, the people who followed and stuck to the diet lowered their risks of tinnitus by more than five times of those who did not follow the diet! 1) Stress- Believe it or not stress can cause tinnitus, among many other things when it comes to your health. Stress is a killer and I’m sure you’ve heard that before but it’s true. If you have anxiety or are stressed out about something, you leave yourself vulnerable to contracting tinnitus. It’s vital to your health and that of avoiding tinnitus by trying to remain calm and not let things get to you. The pain and discomfort of tinnitus is just not worth going through if you can prevent it. I know it’s not easy to control stress in our lives filled with problems but it really is necessary to try because the fact that stress can be a cause of tinnitus makes it a huge reason why you must avoid it. 2) Extended Exposure to Noise- Prolonged exposure to loud noise is one of the biggest causes of not only tinnitus, but to hearing loss as well. 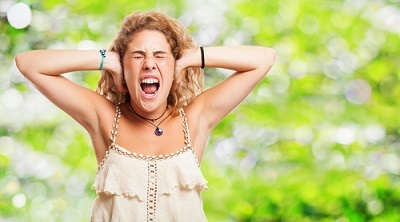 There are more ways than you might think to having yourself in a loud noise situation. Some places where you go such as attending live sporting events, music concerts, or even occasionally a fireworks show, can do some real damage and cause tinnitus. 3) Headphones- I love to use my headphones whether at home, riding my bike, walking, and many other places but it is NOT a good idea to have the volume turned up to the max! Okay, I’ll admit I do like it loud, but not enough to have it cause tinnitus or hearing loss. Just turn it down and you won’t regret it later on. 4)- Take 5- It is a great idea to take a break like with anything else. It is better for your ears if you take the 5 minute break or so every so often. Whenever you can get away from the loud noise it’s just going to be better for you and you have less of a chance of doing any damage later on. For me, I don’t like loud noises at all so when I’m in a situation where I don’t have a choice, I’ll always try and give my ears the 5 minute break. 5)- Ear Infections- If you’ve ever had an ear infection, you know how painful they can be. I’ve had my share of them, especially when I was growing up and my mom would get me to the doctor right away. It’s vital to get medications that will clear this up and fast! I hate the pain! Now for the most part when I feel something coming on, I don’t always run to my doctor right away. But I try over the counter medications for the ears and it usually works fast and gets rid of the pain. By clearing up the infection promptly, you reduce the chances of the infection leading to tinnitus. 6)- Ear Plugs- Using earplugs or headphone protection is an excellent idea and you want to use them when the sound level is over 85 decibels. 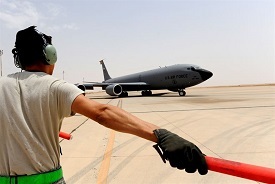 If you notice construction workers, musicians, airport workers on the runway, factory workers, people on a shooting range, landscapers, and others all either wear earplugs or should be wearing them. Earplugs can save you from more than tinnitus. They’ll help save your hearing, period. 7)- Loudspeakers- This one is huge. Have you ever gone to a wedding, party, concert, or sporting event where the loudspeakers are right next to where you’re sitting? This is horrible! I learned my lesson a long time ago about staying away from the loudspeakers. If you don’t want tinnitus or hearing loss, then make it a point to NOT be anywhere close to them and if you have no choice, you’d better bring the earplugs and take frequent breaks and leave the area every so often! 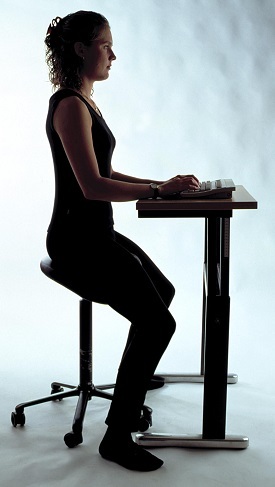 *Precise Posture- Believe it or not poor posture can affect you and cause tinnitus. Medical research reveals that the nerves connected to the muscles in your neck may be responsible for causing tinnitus in folks who do not sit up straight. I hated having tinnitus. It was so horrible. So from that point on I was sure to try and sit up straight while on the computer or any other time and looking down at either my smartphone or tablet could produce tinnitus too. It’s just something that I believe we should think about. *Sleep Pattern and Anxiety- Anxiety can be a real problem with tinnitus. And while many years ago doctors may have treated tinnitus with the drug xanax, there’s a much better and safer way to control anxiety and that’s by the use of valerian root. It works great for relieving anxiety which can cause tinnitus. Restful sleep is going to also help your anxiety so it’s best to go to sleep at the same time every night. Don’t do any vigorous exercise or eat anything too rich two hours before bedtime. Avoid caffeine and anything else that might keep you awake. *Earwax removal- This is a big one. Earwax can definitely become a problem and bother your eardrum when it builds up. Any blockage that is there can be removed by your physician or an over-the-counter earwax removal system. This will definitely help to calm down the tinnitus. *Medications- You always read about interactions with medications and with tinnitus, certain meds can actually be worsening your bout with tinnitus. There are some specific medications such as vancomycin and erythromycin that can affect your tinnitus. In addition, the well known anti-inflammatory drugs; ibuprofen and aspirin can also clash with tinnitus. *See the Doctor- Like anything else in your body, your ears are equally important and you should have them checked regularly by your doctor or see a specialist for problems more than the normal. They are experts when it comes to issues such as tinnitus. But there could be underlying issues you wouldn’t know about. They will check for an inner ear illness known as Meniere’s disease and also look for high blood pressure and any tumors that are benign on your nerves that connect your brain to your inner ear. *Masking Therapeutic Sounds- I love this one! First of all, I don’t like any sounds when I am sleeping. So even without tinnitus I have to have some “white noise” to block out outside sounds that would keep me awake. It totally works! You can pick up a white noise machine on the internet or some kind of sound machine. There are many things that can block out unwanted noises and they really work with masking the tinnitus. You can use music, a waterfall noise, wind, rain, or even download an app. They are lifesavers when it comes to taking care of tinnitus and a great deal of many other unwanted noises. My favorite? I use it every night and in hotels too: The box fan! 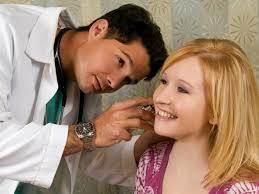 *Hearing aids- You may want to consider a hearing aid if the tinnitus is that bad and you cannot stand it. I never had to resort to a hearing aid thankfully, but I wouldn’t wish it on my worst enemy. It would help to hear better over the constant ringing in your ears. 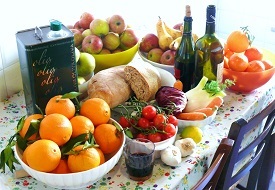 *Mediterranean Diet- If your general health improves, so will your tinnitus. Following a diet similar to the Mediterranean diet will help with the tinnitus. Eating healthy foods such as; green vegetables, seeds and nuts, olive oil, fruits and fish are going to help you immensely. Stay away from sugar and salt, cheese, caffeine, chocolate, and red wine. These will trigger the ringing sounds in your ears for sure. Going back to the beginning: Can diabetes cause tinnitus? You better believe that it can! Not trying to scare you, just giving you a heads up from someone who’s gone through tinnitus. My advice is to get your blood sugars down now! I hope that you’ve learned something and you don’t ever experience tinnitus! Find Out How By Clicking Below! Please share on social media below and forward this to others who need help and please leave any questions or comments you may have below. I would love to interact with you. Thank you for reading and I appreciate it! Let the “Lie” become the “Truth” for you too! How to Treat Diabetic Ketoacidosis-Powerful Tips For Fighting DKA! Breakfast Ideas for Diabetics-7 Sensational Choices for Breakfast! Wow! A lot of really good information here. I would’ve never guessed that Diabetes could cause Tinnitus. Diabetes is such a bad thing. I hope I never have to worry about it. I try to live a pretty healthy lifestyle, although my stress level may get the best of me one day. I seem to get overwhelmed/anxiety pretty often these days. Thanks for sharing! It’s great, need-to-know information. Thanks! Yes diabetes could be the cause of tinnitus. It’s a horrible thing to experience. It’s great that you live healthy and we should all live that way. Tinnitus is something you want to avoid and if you don’t have diabetes, then you’re one up on tinnitus! Stress unfortunately is not good for us as you know. It causes so many issues but it’s so difficult to control. I’m working on my stress issues, but with work and blogging (both being full-time jobs! ), it is difficult to control sometimes. There are times that we just need to take a break and have a moment of silence to rest our brains. I hear about the stress issues. And blogging on my website is a full time issue for me as well. The best thing we can do is to take a break. Last night I was overloaded and took a much needed break from the stress. We do need to rest our brains from this for sure! Thank you for coming back as well! Getting diabetes under control is very important. My sister has diabetes. There are many complications that can come with fluctuating glucose levels even for people without diabetes. You are so right about getting diabetes under control. Nobody wants any of the problems that it causes including tinnitus. You sure don’t want tinnitus or worse yet hearing loss. So by preventing diabetes, you have a lesser chance of getting tinnitus. But if you are a diabetic, you can still live a normal life and avoid tinnitus by controlling your blood sugars. My father suffers from tinnitus. While I don’t believe his is caused by diabetes – it is very frustrating for him. He takes some OTC vitamin which he claims helps him. These tips are really good, I’ll have to show him! I’m sorry to hear that your dad suffers from tinnitus. I can imagine just how frustrating it is for him. But whether or not tinnitus is caused by diabetes or not, the result is the same. I’m hoping what he’s taking is helping. I hope that you do show him this in hopes that everything here too will help. This is a really great post, filled with tons of useful information. I’ve never had tinnitus, and hope I never do if it’s that painful. and I’m surprised I don’t actually have it because I love my caffeine and do love red wine on occasion. Do you know what the difference is between just ear infection pain and tinnitus pain? Hey Cathy 🙂 I went into detail about tinnitus because I want folks to know all about it so that they don’t ever experience it. There are certain things that can cause it with diabetes being one of them. So if you’re one with diabetes, you’ll want to get it under control to try and lessen your risk of tinnitus. Although I’m not a medical person I believe that the tinnitus pain can be coming from an ear infection. Wow never thought about my sleep patterns or my sitting posture as a contributor to tinnitus! I don’t have it currently, but I have wondered whether there are more dire consequences to not correcting those bad habits. Thanks so much for the info, this is great! Tinnitus is a horrible annoying condition that can really take a toll on your nerves. Yes, there are certain things such as your posture and sleep patterns than can have an affect on tinnitus. Correcting the bad habits are only going to help for sure. But you can only do so much to prevent tinnitus and hope that you don’t get it. Begin by controlling your diabetes if you have it. I would never want to get tinnitus, and I appreciate your article, because it gives all the different things that can cause tinnitus, including diabetes, and my friend suffers from diabetes, so I want her to read this and make sure she takes all the necessary steps to prevent this. Tinnitus is just a horrible thing to suffer through. It makes you appreciate having healthy hearing in your ears. Diabetes can cause this and any other ailments so the better you control your blood sugars, the less chance you will experience tinnitus. 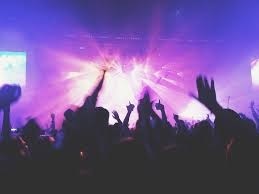 I guarantee that if you had tinnitus once, you would do anything you could to never go through it again.